Today, the increase in cybercrime and website attacks has seen website security become such a critical matter in the online world. Each day, we get news of leak of personal information and unending hacks. As a result, the need to create a secure website and protect your data has never been greater. Even for that innocuous little blog or website that you think has nothing worth hacking for, hackers can turn it into a malicious spybot, sending sensitive user data to hackers without you knowing it. They can also destroy your databases and manipulate important information, adding malicious links or hijack the hosting server to use it in botnet DDoS attacks. Luckily, there are things that you can do to improve your website security and ensure your website is protected from hackers and online vandals. Here are a few measures you can take. Whether you created your website on a third party turnkey platform or your development team built it from scratch, as a site owner, it’s your job to ensure you keep all software up to date. This includes both the server operating system and any software you may be running on the site such as forum or CMS. CMS providers like WordPress are quick to plug any holes in their systems and release regular patches and updates to upgrade their security. Always ensure you run these updates as soon as they become available. If you’re using third-party plugins, check for updates regularly and ensure you update them as well. Also, get rid of any unused, old and non-updated plugins. 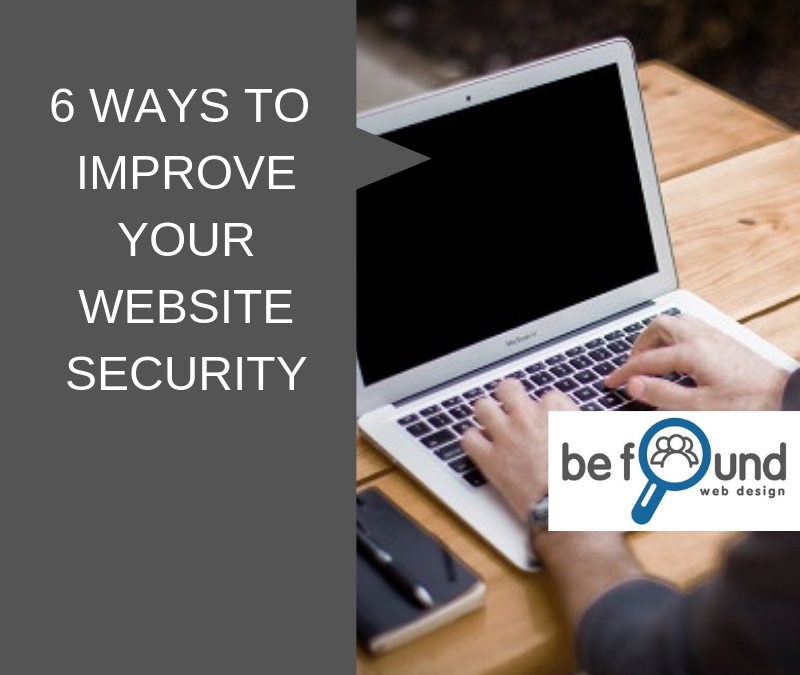 At Be Found Web Design, we take website security very seriously and want you to be secure. Therefore, we conduct website maintenance, ensuring all your software is updated, and your website is secure. Hypertext Transfer Protocol Secure (HTTPS) is a secure communications protocol for transferring sensitive data between a web server and a website. Switching to the HTTPS protocol means adding an encryption layer of Secure Sockets Layer (SSL) or Transport Layer Security (TLS) to your HTTP, which protects your users’ data as well as your own data from hacking attempts. In fact, Google is now using HTTPS as a ranking signal. In addition, most web users know to recognize HTTPS as the signal that the site is safe. It’s important to have strong passwords for your server and website admin area. Over the last few years, brute force attacks that try guessing username password combined have increased at alarming rates. However, strong passwords can limit these brute force and dictionary attacks. Therefore, ensure your password combines alphanumeric characters, upper and lower case characters, symbols, and is at least 12 characters long. Also, use different passwords for your different website logins and change your passwords regularly. It’s also important that you store them in encrypted form. SQL injections are common website hacks. These attacks occur when a hacker uses a web form field or URL parameter to access your database. You can prevent SQL injections by using parameterized queries, a feature that most web languages have. This ensures your code has enough parameters, thereby preventing any room for a hacker to insert code into them. You can enhance your website security further by using a firewall to act as your first line of defense. A Web Application Firewall inspects incoming traffic and removes malicious requests, protecting you from brute force attacks, SPAM, Cross Site Scripting, SQL injections, and many other threats. 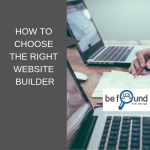 Why choose Be Found Web Design? With the unending cases of website attacks reported every day, it quite clear that web hosting providers are not adequately equipped to handle all website security threats. The tips above can help you prevent website attacks and protect your users’ data. 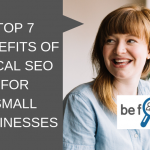 At Be Found Web Design we build high-quality websites and put all the necessary measures to ensure your website security. We also offer website maintenance and updates to ensure your website is working well and is secure. You can always count on us to help you maximize your website security, whether it’s through advice or updates. 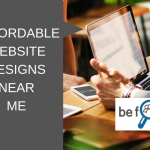 Contact Be Found Web Design – Tweed Heads to learn more about quality built websites. 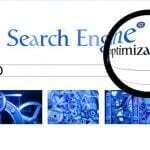 What does SEO website design mean?